Obama’s support among Jews continues to drop although most polls show his standing is on the rise among the general population. President Barack Obama’s support among Jews continues to drop although most polls show his standing is n the rise among the general population. A survey by TIPP, which says it was the most accurate presidential pollster in the 2004 and 2008 elections, show that only 59 percent of likely Jewish voters will vote for the president, down from 68 percent in Gallup polls in June and July and far from the 78 percent in the final results in 2008. 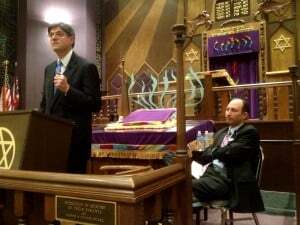 The TIPP poll, carried to for The Investors Business Daily/Christian Science Monitor, shows Obama leading Mitt Romney by a 59-35 percent margin among Jews. PM Netanyahu: Governor Romney, Mitt, it’s a pleasure to welcome you here. I have to say that I heard some of your remarks a few days ago – you said that the greatest danger facing the world is of the Ayatollah regime possessing nuclear weapons capability. Mitt, I couldn’t agree with you more, and I think it’s important to do everything in our power to prevent the Ayatollahs from possessing the capability. We have to be honest and say that all the sanctions and diplomacy so far have not set back the Iranian program by one iota. And that’s why I believe that we need a strong and credible military threat, coupled with the sanctions, to have a chance to change that situation. We’re going to discuss all these issues and the turbulent region that the Middle East has now become in our talks. I want you to know that in this great convulsion, there is one stable, democratic ally of the United States here in the Middle East, and that’s Israel; and that’s why I think that strengthening the relationship between America and Israel is in the interest of peace, in the interest of both our countries, and I believe that your visit is an expression of that desire on both of our peoples. So, I welcome you here on behalf of the State of Israel, the champion of democracy in the Middle East, as a representative of the United States, the greatest champion of freedom in the world. 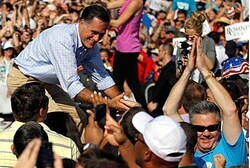 Romney: Thank you so much. Thank you, Mr. Prime Minister. It’s an honor to be with you today. We do have a friendship which spans the years, and at a critical time like this, I come to learn of your perspectives and your ideas with regards to the challenges faced in the region and challenges faced around the world. I’m honored to be here on the day of Tisha B’Av, to recognize the solemnity of the day and also the suffering of the Jewish people over the centuries and the millennia, and come with recognition of the sacrifices of so many. Unfortunately, the tragedies of wanton killing are not only things of the past, but have darkened our skies in even more recent times. Your perspectives with regards to Iran and its effort to become a nuclear-capable nation are ones which I take with great seriousness and look forward to chatting with you about further actions that we can take to dissuade Iran from their nuclear folly. Your perspectives also with regards to the developments throughout the region – in Syria, Egypt and other nations – will be most helpful. We have a relationship between our nations which spans many years, and at the same time, is one based not just upon mutual interests, but also shared values. Like Israel, we share a commitment to democracy, to freedom of speech, to freedom of association, to the preservation of human rights; and these common values and common principles have caused our nations to draw closer over the years. And as we face the challenges of an Iran seeking nuclear capability, we must draw upon our interests and our values to take them on a different course and to assure that people recognize throughout the world that the United States and Israel are bound in our commitments to one another. So thank you. I appreciate the chance to be with you for our discussion and also a chance to enjoy a meal together, breaking the fast for your family at the end of the day, and look forward to a productive day. Thank you. Americans can “expect” President Barack Obama to visit Israel during his second term, an aide tells reporters. 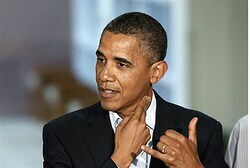 Americans can “expect” President Barack Obama to visit Israel during his second term, an aide told reporters on Monday. Colin Kahl, a former deputy assistant secretary of Defense for the Middle East, was quoted by Politico.com as having said attacks by presumptive GOP nominee Mitt Romney, who is visiting Israel on his European swing this week, that Obama hasn’t traveled to Israel are invalid. “We can expect him to visit Israel on a second term if he is re-elected,” Kahl said. Politico noted that Kahl did not offer an explanation for why Obama hasn’t visited Israel as president, adding he simply described the U.S.-Israel relationship as “in good shape,” contradicting Romney’s critique. Kahl pointed out that Ronald Reagan “never visited Israel and George W. Bush didn’t visit until the final year of his second term” and neither were criticized by Republicans for their travel itinerary. On Sunday, former United Nations Ambassador John Bolton criticized Obama for not visiting Israel as president. 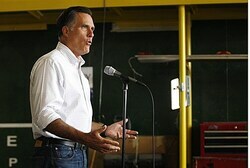 Romney said last month he would do “the opposite” of Obama and stand firm with Israel. Speaking to Evangelical Christians, Romney underlined the importance of backing Israel and stopping Iran from achieving nuclear capability. Obama is sounding “like he’s more frightened that Israel might take military action than he’s concerned that Iran might become nuclear,” he said. Romney’s upcoming visit was an issue Netanyahu tried to downplay during an interview with CBS’s “Face the Nation” on Sunday.